Many writers enter short story competitions and are surprised not to be short-listed. This can be defeating for a writer if it happens repeatedly. Many short stories submitted to competitions are nowhere near ready to make the cut. They are unresolved, in need of an editor's eye. Often a Manuscript Assessment can give you the information you need on how to improve your writing, and polish your short story enough to make it stand out, for all the right reasons. Winners are engaging stories presented with style and a writerly flair. If you've got as far as drafting or writing a short story, you've probably got what it takes. As a judge in the Tasmanian Short Story Competition of 2016 and a published author, I offer a professional Manuscript Assessment service offering you a written report and editorial comments on your short story, helping you shape it for future competition entry and submit your stories with more confidence - and a better chance of a win! Why get your Short Story Assessed? Getting a short story assessed by a published writer or editor is invaluable. An assessment can point out inconsistencies and inadequacies that you haven't spotted yourself. It can give you an idea of the quality of your presentation and how to improve it. You'd be surprised how many people submit work to competitions and publishers which has spelling mistakes, grammatical errors, and is poorly formatted. A manuscript assessment will also give you an idea of where your strengths lie as a writer, how they are expressed in your short story, and where improvements can be made. Short story competitions rarely offer feedback to the writers entering them, so you never quite know what you're doing wrong. A Manuscript Assessment of your story by an experienced editor may help you take your work to the next level and increase its chances of getting noticed by judges. Often there is a large 'slush pile' at the end of a judging process. There's also a 'maybe' pile and a 'definitely' pile. If your writing consistently remains deselected and you want to elevate it, you need the insights of a Manuscript Assessment. A great short story needs good content, assured execution and some attempt at the theme of the competition, if there is one. First and foremost, judges are looking for writing which excels - at the very least it should be competent and assured, at best it should sing from the page. Execution is key - and the one in which most writers fail. In the vast majority of entries, the writing is simply not good enough, but could be improved with some editorial pointers and help. Good writing can take many forms. Different writers have different styles, voices, ideas and subject matter - but writing that has skill, assurance and conviction always stands out. That's what catches a judging panel's collective eye and gets you elevated to the 'maybe' pile - or the shortlist. My Short Story Manuscript Assessment service is a low-cost, confidential service giving you concrete knowledge about where and how your writing and your story can be improved. I can smell a lemon at first whiff and can tell you within the first few lines if your work is ready for submission - or not. I will look at the content, execution, writing style, narrative devices you've used, structure of your story and clarity and flow, and tell you whether it's working - or not. I use Microsoft Comments to conduct a line by line assessment, picking out strengths and weaknesses. Where your writing is good, I will tell you why. Where it is not working, I will also tell you why, and give indications and ideas as to what you might consider doing to strengthen it. Occasionally, I rewrite a line to show you how it could be lifted. What I won't do is conduct a full edit, ghost write, make broad changes to your work for you or rewrite it on a broader scale. This is not an editorial service, it is an assessment service. If you continue to enter short story competitions, your work should be yours alone. Check out the case history in the right hand column to see the type of comments you might receive. The story has been disguised for confidentiality purposes (it's a short story written by a member of my writer's group). Q: What if I still don't win competitions after having a manuscript assessment done? A: I cannot guarantee to win you that competition! You are up against the other entrants, the judges' preferences, and the rules of the competition, as well as the quality of your story. Q: What if my story is perfect and you can't think of anything it needs? A: If I consider your short story competition ready, I will simply enjoy reading it, and return it to you with some observations - and charge you nothing. Send me your short story by email attachment, with a word count. Let me know relevant details - such as whether you have entered it for competitions, whether you have received any feedback on it to date, and whether there is anything in particular you would like me to pay attention to. I will do a quick check of what you send me and reply by email confirming that I am able to offer an assessment. I usually return a short story with comments and a summary report, within ten working days - depending on length. Visit my Contact page to get your short story assessment underway. Fiona Stocker has been writing in the corporate sector and as a freelance, content writer for small business, and creative writer for almost three decades. Her work is widely published in magazines and online content. Her history of Tasmanian Women in Agriculture, A Place in the Stockyard, was published in 2015. She has worked as ghost writer and editor on a number of self-published and privately published book projects. 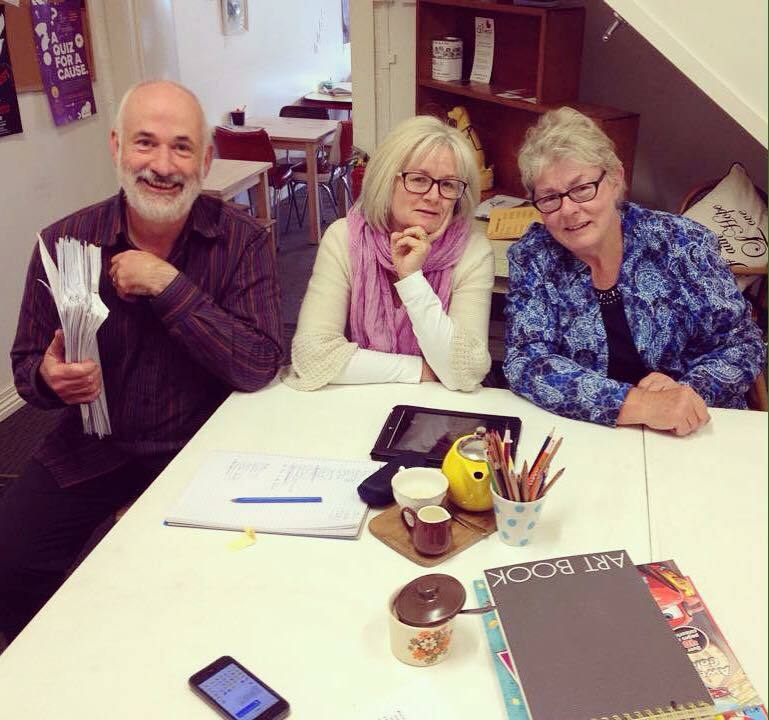 She was a judge in the highly regarded Tasmanian Short Story Competition in 2016. Fiona Stocker's travel memoir Apple Island Wife is published by Unbound in August 2018. "Fiona has just worked with me on a very big project with a tight time-frame. Her writing skills are exceptional. She is clever, creative and professional. I thoroughly enjoyed working with her. She is a truly gifted writer who is super reliable." ​"What a terrific book you have put together for TWiA! I've read most of it, starting with the stories of women's lives. What a remarkable group of friends we have! I'm honoured and delighted that you used my few lines in such a significant, and appropriate spot. Everything about the book is very professional, and very readable. Your talent and skill as a writer evident on every page. You can be very proud of it, as we all can be as TWiA members."